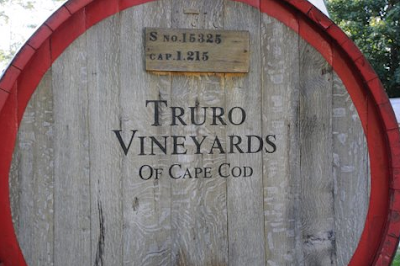 Truro Vineyards is located on Cape Cod in the town of Truro. The winery was established in 1992, and has been owned and operated by the Roberts family since 2007 when Dave Roberts retired as CEO of United Liquors. 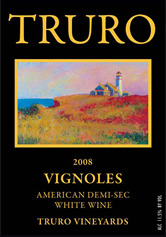 Truro Vineyards makes wines with a combination of estate grapes and grapes sourced from other locations in the United States. Winemaker Matyas Vogel/David Roberts Jr.
Winery Tasting Notes Truro Vignoles presents a delightful simultaneous flavor sensation of lush ripe tropical fruit balanced with tangy spices. This crisp off-dry white wine has 2.5% residual sugar, which matches up perfectly with spicy food and sushi. The grapes in the Vignoles come from Upstate New York. Fermentation Handpicked, crushed and fermented in open vats in the traditional Loire style. Prolonged skin contact for optimal color, flavor and tannin extraction. Barrel Aging 20 months in American oak. Winery Tasting Notes Cabernet Franc is the signature varietal of Truro Vineyards. Open vat fermentation, extended maceration and 18 months barrel aging all contribute to rich varietal fruit flavors and herbal tannins. This tasty dry red wine is best served with beef, pork and varied roasted dishes. 90% of the grapes in the Cab Franc are grown in Truro. Try their wines. They're available in stores in Massachusetts including Nine East Wine Emporium in Natick and OmniFoods in Weston. You can also buy their wines online. Visit the winery. They have an active schedule of events in the upcoming months. I'd like to thank Truro Vineyards for giving me the chance to try these wines.